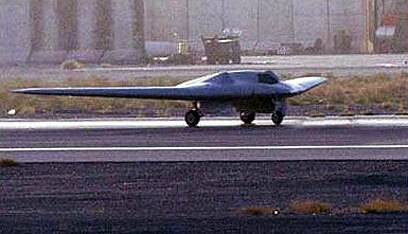 United States officials believe the American stealth drone put on display in Iran crashed and broke into pieces and was put back together by Iranians to make it seem it was not damaged by the crash, reported The Wall Street Journal on Friday. Iranian military officials were appeared surveying the unmanned aerial vehicle in video clips published last week, which Tehran claimed was shot down or remotely skyjacked before managing to land the drone intact. However US officials maintained the pilots of the UAV, which was developed by the Air Force but used by the Central Intelligence Agency at the time of the incident, lost control of the drone last week. The officials claimed the drone broke into three pieces, and added the UAV in question is one the most-sophisticated US spy planes available. Now the American intelligence officials are hard at work trying to asses how badly this incident hurt their capabilities in the region. American officials believe the Iranians have managed to reassemble the drone and display it, stirring up a heated discussion among Washington lawmakers who are outraged the sophisticated UAV cannot self destruct in the event that it falls into unwanted hands. Officials also maintained the drone was repainted by Iran in an attempt to hide the damage caused to the UAV. According to them, the actual color of the drone is charcoal-gray and not white, as it appears to be in the video. Tehran's claim that the pilot had lost control of the craft has raised suspicion among US officials. "They did not commandeer it and steer it to the ground," a Washington official stated. "It crashed, and they put it back together to make it look whole, like a puzzle being put back together." If the plane did break apart, the harm to US intelligence would lessen significantly. However some congressional officials voiced their doubts regarding the pretty picture being presented by US intelligence. "It would not have been hard to put it back together," said one congressional official. "It's a big loss." See all talkbacks "US official: Iran assembled drone like puzzle"